We won’t even make you wait until the end of this review to tell you this. If you are a card collecting fan of NASCAR, run, don’t walk, to your nearest LCS and pick up, at the very least, a box of 2011 Press Pass Showcase now. After you have done that, come back here and we will talk about it. Go. You’re back? OK. You hold in your hands what could be the best box of NASCAR cards you will open to date. Return visitors to Showcase know just how good this product can be, but somehow, this year’s release is even better than years past. We classify 2011 Press Pass Showcase as premium cards. 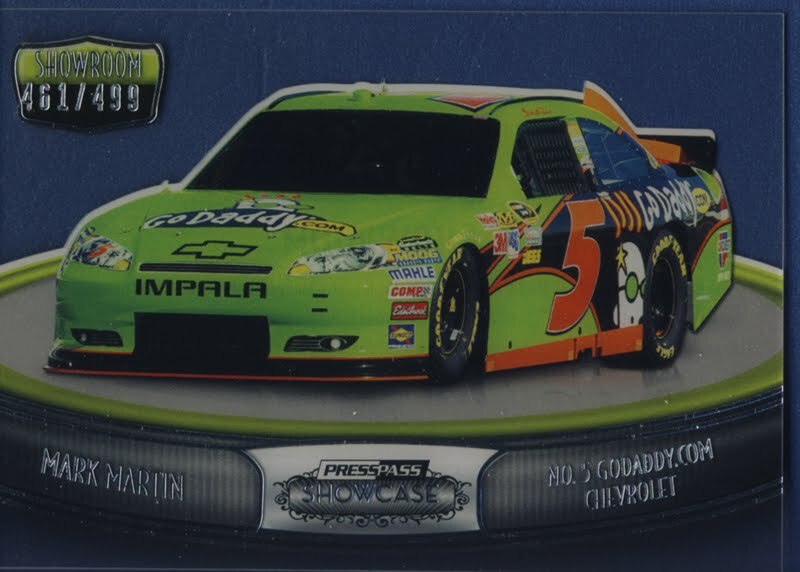 Each hobby box contains 3 – 5 card packs and each pack contains either one autograph, memorabilia or autographed memorabilia card. 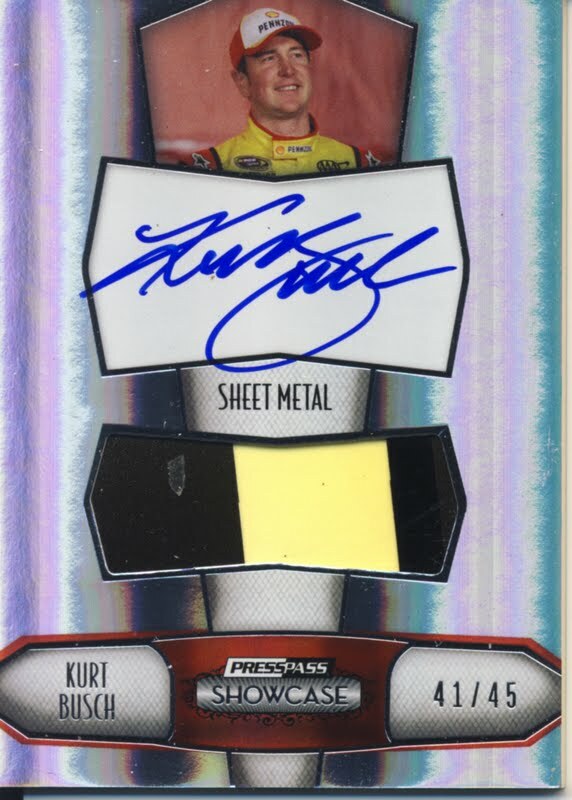 Here is a look at the best of what we pulled. NOTE - the blue area above the cards is actually clear. Double Rainbow foil that would make Paul "Yosemite Bear" Vasquez weep. 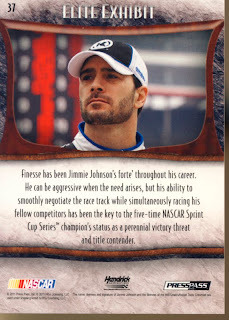 These cards are sharp! The actetate cards look fantastic. Some of the best materials and layout for the hit cards we’ve seen. This checklist is very tight which makes ALL of the cards desireable. How often can you say that? 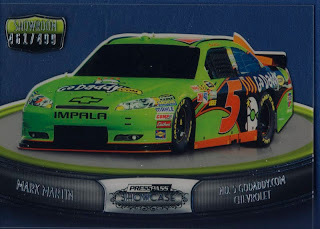 NASCAR cards have an advantage over other sports simply because of the colorful nature of the materials. 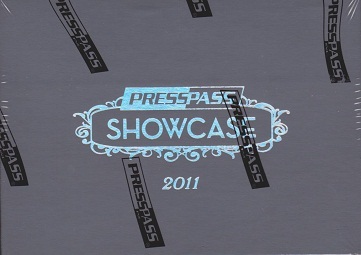 Showcase does just what the name implies by displaying these in in the best possible way. Every hit is big. 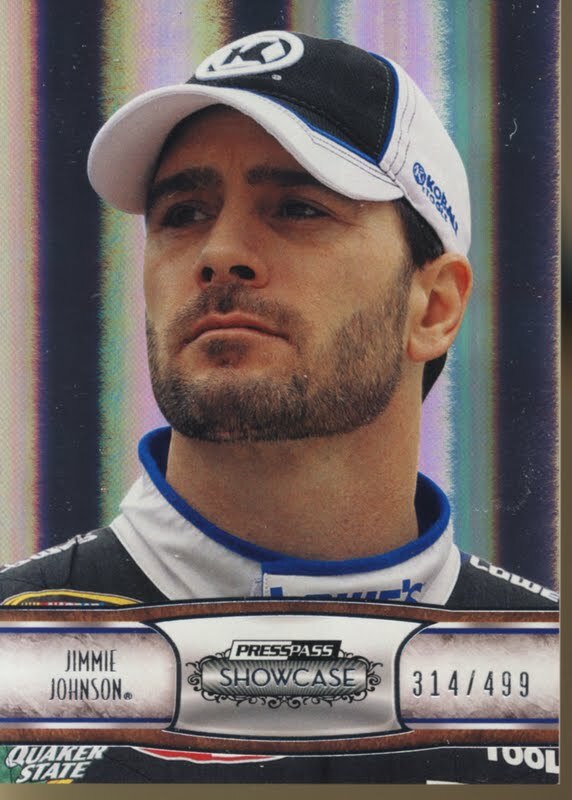 Base cards are numbered and as attractive as any insert you’ll find in any other product, making every card in the box a hit. Get as many of these boxes as you can because you wont have a chance to come back for more. Showcase will sell out fast. 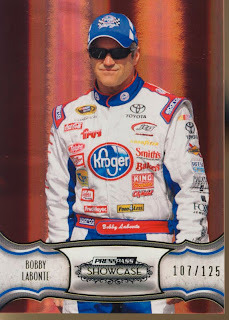 2011 Press Pass Showcase cards are the NASCAR cards to own this year.